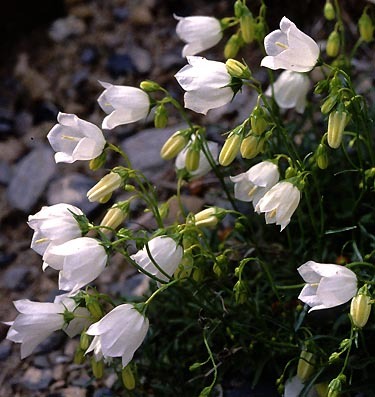 Campanula cochleariafolia - Carinthia (Austria). 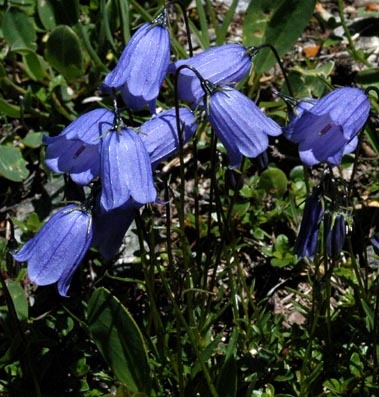 This charming little species is widely distributed in the European Alps. The flowers areusually blue, but may also be lilac, lavender and occasionally white.